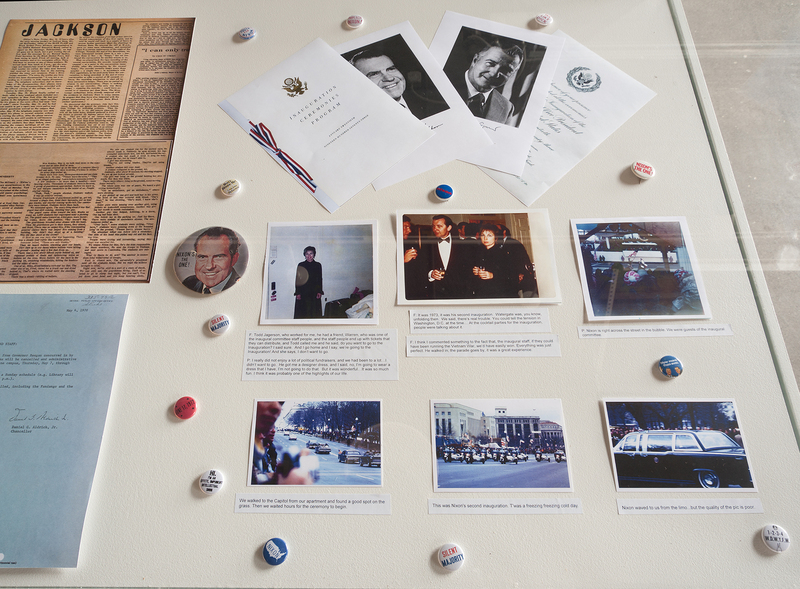 Visitor photos and artifacts from Nixon’s second inauguration. “F: I go home and I say, we’re going to the Inauguration! And she says, I don’t want to go. P: I really did not enjoy a lot of political fundraisers, and we had been to a lot. F: It was 1973, it was his second inauguration. Watergate was, you know, unfolding then. You could tell the tension in Washington, D.C. at the time. People were talking about it, and we were talking about it.